CHURCHVILLE – Carole (Sinclair) Oates, 73, of Virginia, died Friday (November 30, 2018). Born January 14, 1945 in Morrillton, Ark., she was a daughter of the late Erskine Boyce and Romain Agatha (Glass) Sinclair. Carole graduated from Oklahoma State University. On June 24, 1967, she married James C. Oates. She was a devoted wife, mother and homemaker. Carole taught pre-school for a number of years, and also enjoyed participating in craft shows with her own floral creations and hand-crafts. 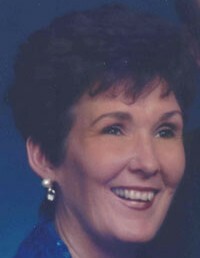 She was preceded in death by a son, Bryson Sinclair Oates in 1996; and by a sister, Barbara Ellen Sinclair Rogers. Surviving in addition to her husband are a brother, John McCown Sinclair of New York, N.Y.; two nieces, Laura Nuzzaci and Heidi Sinclair; two nephews, Brian Rogers and Jeremy Sinclair; and a number of great-nieces and great-nephews. The family will receive friends from 7 to 8 p.m. Tuesday, December 4 in Bear Funeral Home in Churchville, Virginia. A burial service will be held 2 p.m. Saturday, December 8 in Pisgah Cemetery, Pottsville, Ark. Memorials may be directed to the American Cancer Society.